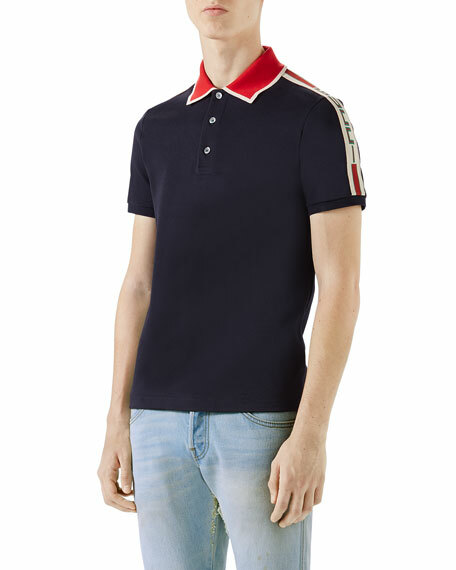 Gucci polo shirt with contrast trim. 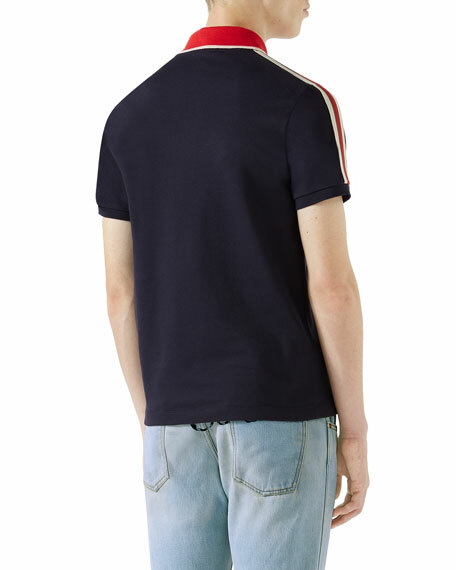 Gucci jacquard stripe down shoulders. Spread collar; three mother-of-pearl button placket. For in-store inquiries, use sku #2383051.